MergeLane, the accelerator and fund for high-growth startups with at least one woman in leadership, is now accepting applicants for its 2017 accelerator. This program will pair a select cohort of startups with industry-leading mentors and CEO coaches to dramatically increase the startups’ growth trajectory. The startup accelerator will run from February 5th to April 28th, 2017. Headquartered in Boulder, Colorado, MergeLane is a 12-week program. Companies must be physically present in Boulder for the first two weeks and last week of the program. 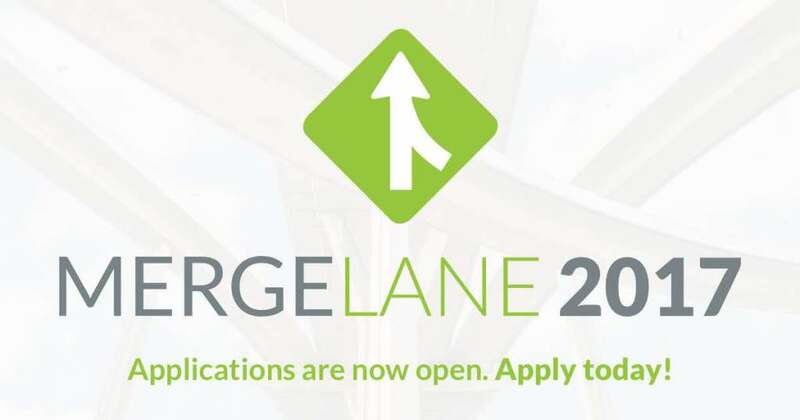 Accelerator participants receive up to $120,000 in MergeLane investment. Our 2015 and 2016 MergeLane accelerator cohorts have raised $20.2 million in aggregate funding to date. The companies have created 231 jobs and employ 38 women in leadership. If your company has at least one woman in leadership and is ready to up its game, check out the 2017 MergeLane startup accelerator application. If you’ve thought about if you should apply or not, just apply. We’ve said it before and we will keep saying it, apply. Your company is probably not too early. Your company is probably not too late. Regardless, you’ll learn something through the application process and create a connection with the MergeLane team. We may find that you are good fit for Leadership Camp or our Investment Fund. You can read about our criteria here. Applications will be reviewed on a rolling basis, so apply early. Join us at an event. We hold a monthly QuickPitch, local events, and info sessions. Update your LinkedIn account and business social media accounts in addition to completing the startup accelerator application. Email Hannah Davis or schedule a call with her if you have any additional questions. Explore our FAQ page, testimonials, and blog to learn more. Applications will be open September 1st through November 23rd and reviewed on a rolling basis. Interviews will be held remotely from October-December, 2017. All applicants will be notified by mid-January 2017 regarding acceptance. We will publicly announce the class in late January. The program will run February 5th through April 28th, 2017. Teams will be required to be in Boulder February 5th-10th, 13th-17th, and April 24th-28th, 2017. The rest of the weeks will be remote with an optional week in Boulder from March 20th-24th. Looking forward to meeting the next cohort of amazing startups to join our growing portfolio. If you know any other companies that would be a great fit for MergeLane, please forward the startup accelerator application along.